March Bellabox Unveils A Brand New Look + Quarterly Review! You are here:Home » Product Reviews » March Bellabox Unveils A Brand New Look + Quarterly Review! 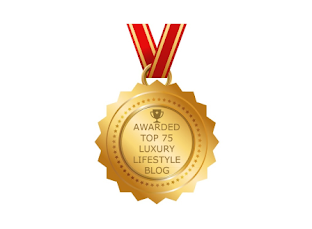 Hello bellabox fans, Luxury Haven is back with our quarterly reviews for 2014! 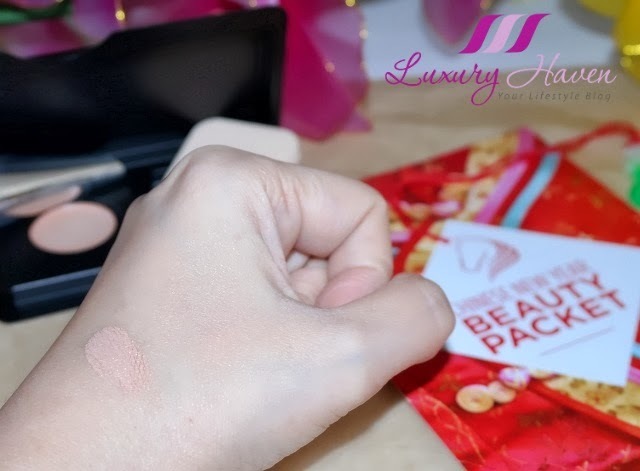 The January Chinese New Year bellabox beauty packet was a real treat with 7 different brands, Flirty February had some really cool stuff in them, and March bellabox has beauty secrets exposed! Today, we're gonna go through the beauty treats inside these three beauty boxes! Gosh, I'm getting excited already! Did you miss our January review of the goodies inside the bellabox? 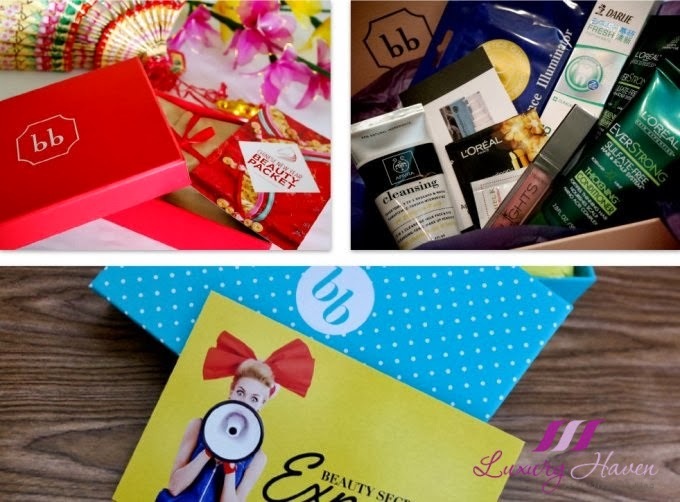 Were you one of the five lucky readers of Luxury Haven's Bellabox Chinese New Year Giveaway? That was a real treat for those fans of beauty boxes. 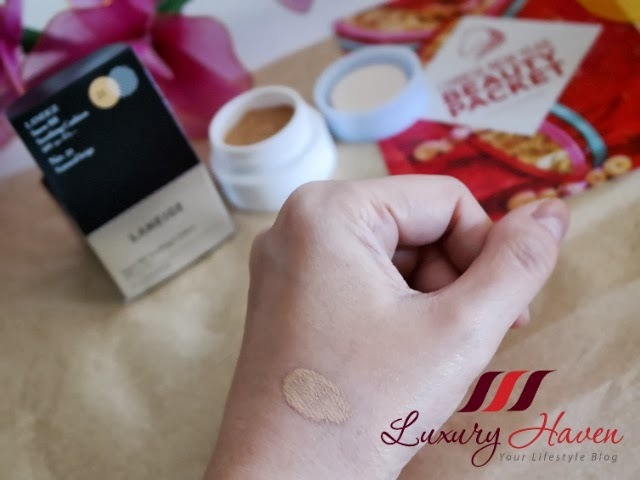 In our CNY bellabox review, we talked about the COVERMARK Flawless Fit and the Laneige Snow BB Soothing Cushion besides other fabulous items in the January box. Now, let's zoom into these two products and see which is more suitable for your skin. 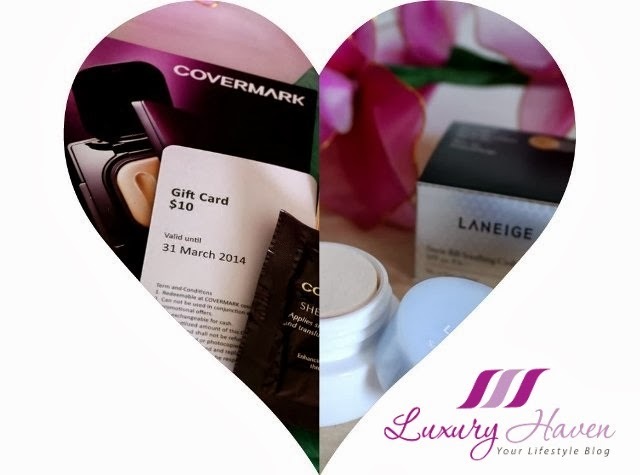 Retailing at SGD 110 with Refill at SGD 80, COVERMARK Flawless Fit comes in 8 shades! I thought that's quite a lot of choices considering some brands only come in 3 shades. I found the foundation easy to apply. Since it claims that just one coat to hide blemishes, I can understand why the creamy texture is slightly thicker than most BB Cream. 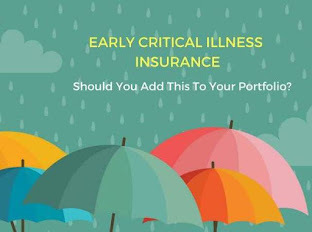 A wonderful foundation if you need a good coverage. The CNY bellabox also came with the Laneige Snow BB Soothing Cushion. Comparing the two, the texture of Laneige is very much lighter and "watery". This would be a great choice under the blazing sun as I'm quite sure you won't like to wear something too heavy on your skin with the hot weather. Besides, it's long-lasting with its sweat-proof technology! Price wise, it's also rather affordable at SGD 59 for set of 2 x 15g. Formulated with advanced Amino acid complex and enhanced with natural botanical oils, Rosemary and Juniper, the system provides thorough cleansing while providing optimal hydration, energizing your scalp and fortifying your hair strands. Retail: S$14.90 for 250 ml. Infused with six different flower extracts, the L'Oreal Extraordinary Oil (5 ml) can be used in many ways! 10 mins before showering to prepare hair and protect it from the shine-stripping action of water and shampoo, use on damp, towel dried hair to protect it from blow drying and styling, or taken anywhere and applied on dry hair to give it a glossy glow! Retail: SGD 23.90 for 100 ml. Formulated with Palmitoyl Hexapeptide-14 and Heptapeptide-7, these peptides help to stimulate collagen production and smooth away fine lines and wrinkles. Retail: SGD 124.95 for 1 oz. APIVITA 3 in 1 Cleansing Milk for Face and Eyes (50ml) is formulated with 99% natural ingredients. Retail: SGD 36 for 250 ml. A daily purifying cleanser gel with PhytoCellTec™ technology that boost performance of natural skin stem cells. Retail: SGD 25. Rachel K Lotus Stem Cell Hydrogel Mask @ SGD 8.90. This hydrogel mask offers 11-18% more moisture than sheet masks, penetrating into your skin 2 times greater with its Trans-Dermal technology for an efficient skincare treatment. 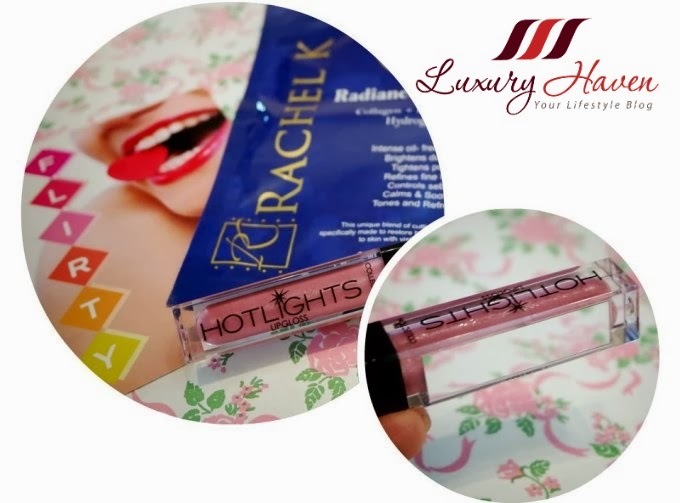 I adore the Collection Hotlights Lipgloss with a built-in light and mirror @ SGD 15.90, 6ml! Now you can apply your lipgloss even in the dark!! Available in 6 stunning shades, its high gloss but non-sticky formulation is added with shimmering particles to keep you in the limelight! Must-buy!! 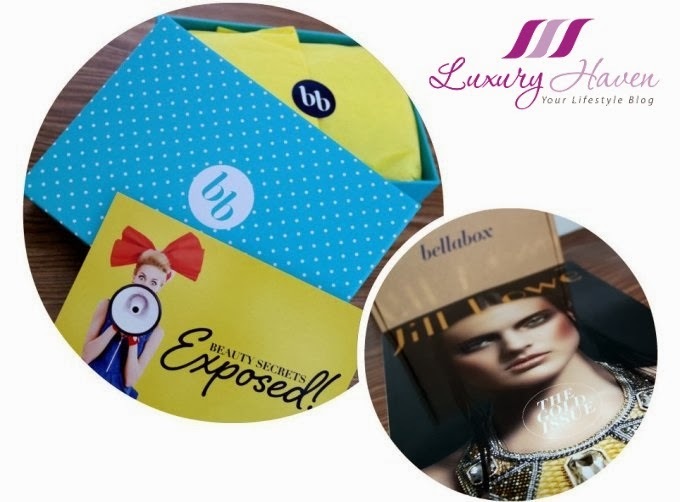 March bellabox unveils a brand new look with a pretty blue-dotted box, and it came delivered with a copy of the Jill Lowe gold issue of the fashion and lifestyle magazine! 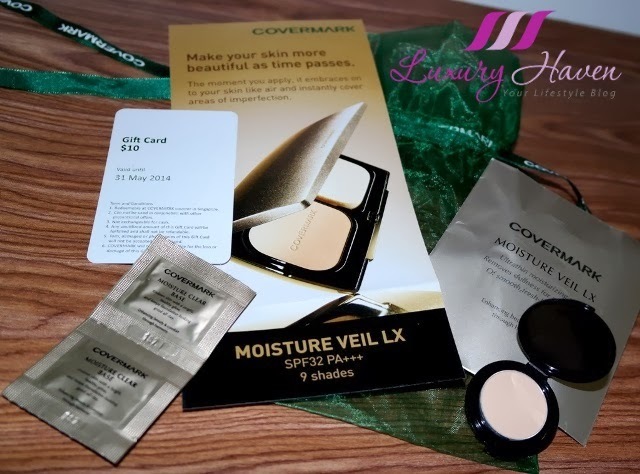 Found inside this month's box is also a sample-size Moisture Veillx Foundation, containing Skin Melting Formulation to blend flawlessly with the skin and instantly cover imperfections upon application. Retail: SGD 70 refill, SGD 25 case. Firms, tightens, hydrates and lightens; balances skin tone and brightens complexion for healthy radiance. Retail: SGD 78 (40ml), SGD 42 (16pc) respectively. Giovanni 2chic® Avocado and Olive Oil Ultra-Moist Shampoo and Conditioner (44 ml) gives your strands a moisture boost by using a combination of two hair-loving ingredients, Avocado Oil and Olive Oil. Retail: SGD 15.90 (250 ml), SGD 39.90 (71ml) respectively. Have you heard of Happy Skincare Cloud 9 Deep Cleansing Balm (20 ml)? I'm totally new to the brand, but the 100% natural and 84% organic cleansing balm certainly got me sold with their sweet smelling scent of divine citrus. Retail: SGD 44 for 80 ml. Containing anti-oxidant Green Tea and Pomegranate, the Happy Skincare Pig In Mud Mineral Mask is a 100% natural clay mask which cleanses and enhanced skin's suppleness and elasticity at the same time. Retail: SGD 29 for 40g. 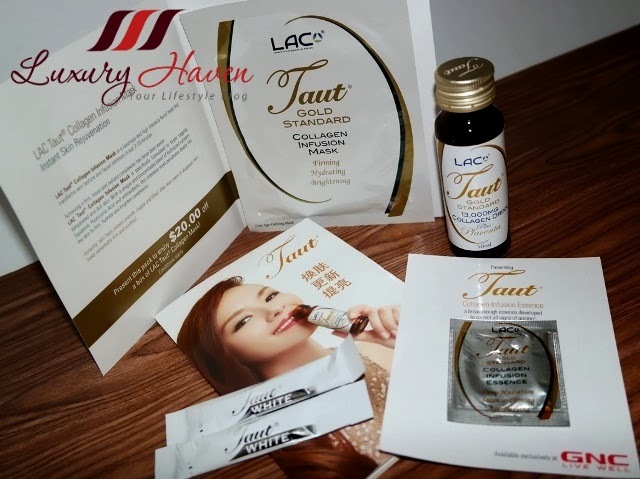 Do you know that Taut® range has also grown beyond its bottled drinks and include Taut® White, Taut® Collagen Infusion Essence, and Taut® Collagen Mask? 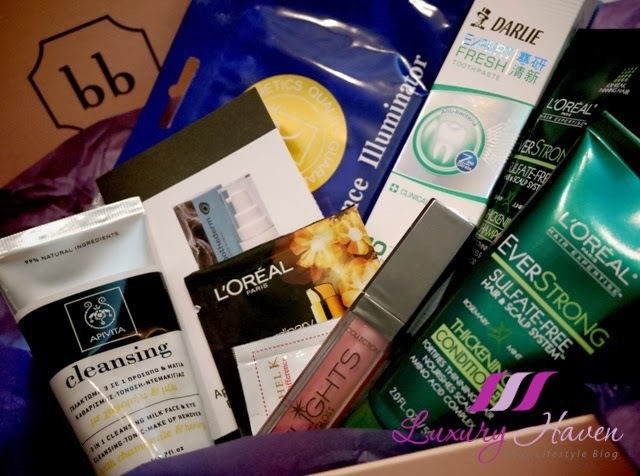 A thumbs-up to March bellabox, containing various Taut® products for its members to try! Blended with hydrolyzed Collagem, Squalene, Hyaluronic Acid and antioxidants, the Taut® Collagen Mask intensively nourishes your skin in less than 10 minutes! Retail: SGD 49.50, but you'll get SGD 20 off when you produce the coupon to purchase a box of the Taut® Collagen Mask!! Consists of 8 bottles in a pack, these 13,000 mg premium Taut® Collagen Drinks plus Placenta will reveal a youthful, firmer and brighter skin with their concoction of Placenta, DNA, Hyaluronic Aicd, Aqueous CoQ10 and Vitamin Bs! Retail: SGD 99.95 for 50 ml of 8 bottles. Mix 1 sachet of Taut® White daily with Taut® Collagen Drink, water or fruit juice for a clearer and brighter complexion with a radiant afterglow. Retail: SGD 59.95 for 12g x 30 sachets or 60 capsules. LAC Taut Collagen Infusion Essence is a breakthrough essence, developed to correct all signs of ageing. Tri-Action performance targets skin concerns such as wrinkles, skin elasticity, and dry skin. Retail: SGD 119.95 for 14.6 ml. So, what do you think of the 3 beauty boxes? Which do you like best? It's still not too late to buy any of them. Simply sign up for your bellabox to receive 5+ beauty and lifestyle products in your box for only SGD 19.95 a month!! 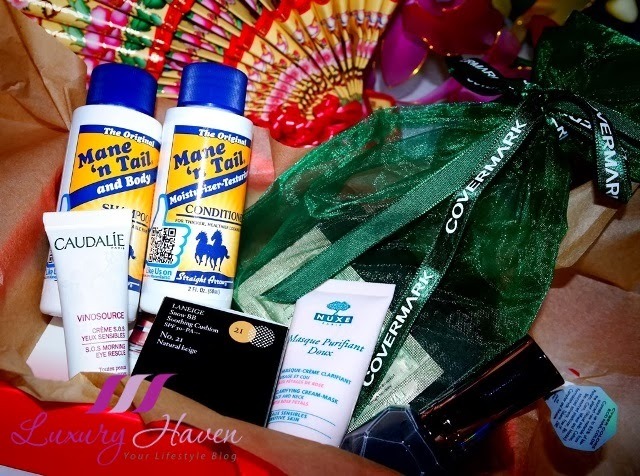 Well, Luxury Haven is rewarding 5 readers with a box of March bellabox! Head over to March Bellabox Giveaway now to submit your entries! Lina, some of them are really attractive! The pokka dots March bellabox is so pretty! 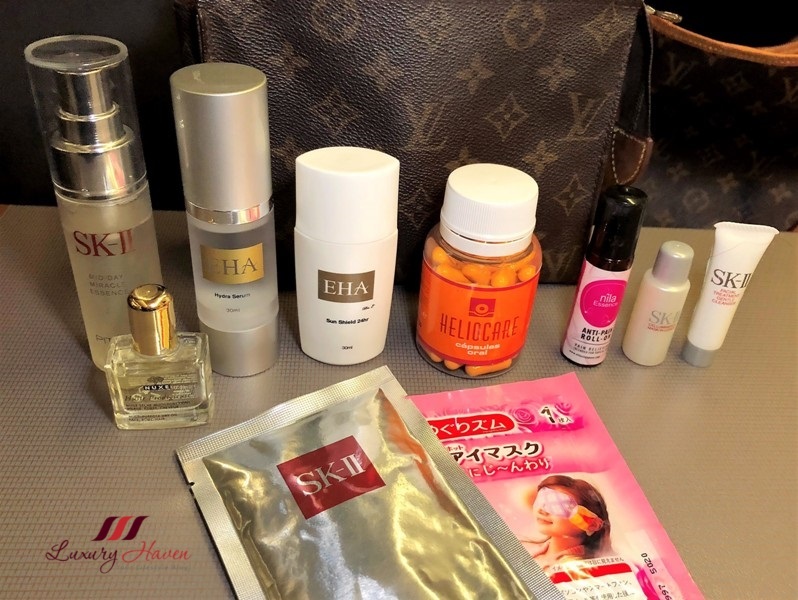 And wow, it's really packed with goodies - from Laneige to Taut, too yummy to miss. 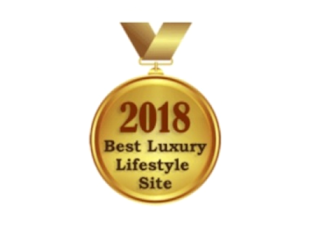 Great products nice review. 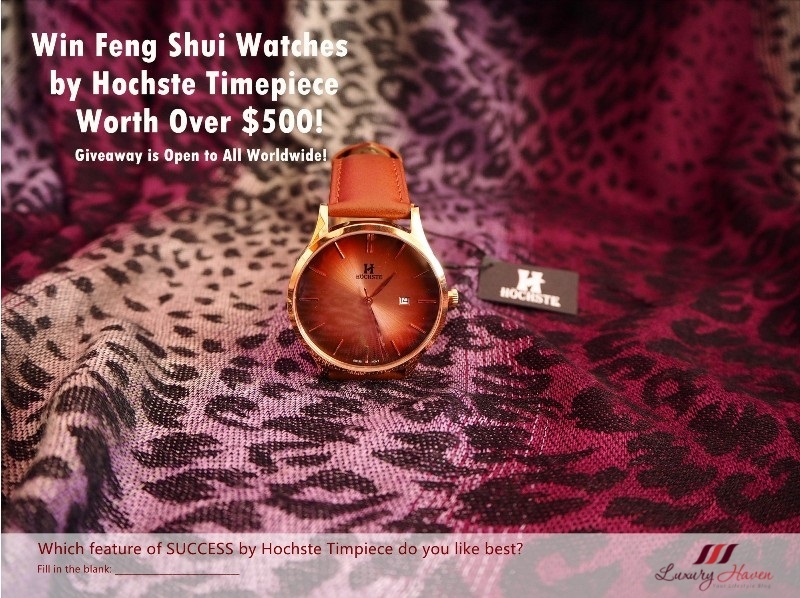 By the way my post was not a contest is fashion jewelry you welcome to buy. Jackie, that's cool too! Enjoy your weekend, dear! Rinako, I'm just as excited! So many nice things! Specially Laneige! Diana, hahaha! The idea was to catch your attention! so many products.. which one to use? Cquek, try one by one slowly........ Heehee! 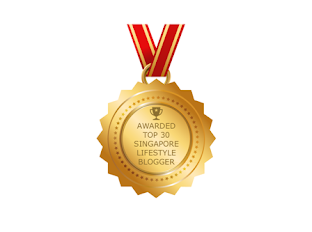 Subha, can't wait to host this giveaway! Uru, I've to admit some are really cool! Wow! So many goodies. 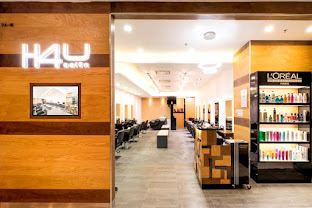 Time to pamper ourselves. Rose, it's beauty time! Hahaha! Xinyun, I love the lipgloss! Such an awesome innovation! Everything for the skin is tempting. 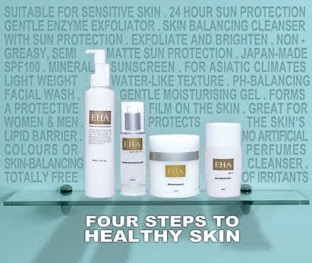 Great products esp those to care for the skin. Nava, hope it doesn't add to confusion. Hahaha! i wanna try the Laneige Snow BB Soothing Cushion!!! HL, that's a very popular product! Good pick! 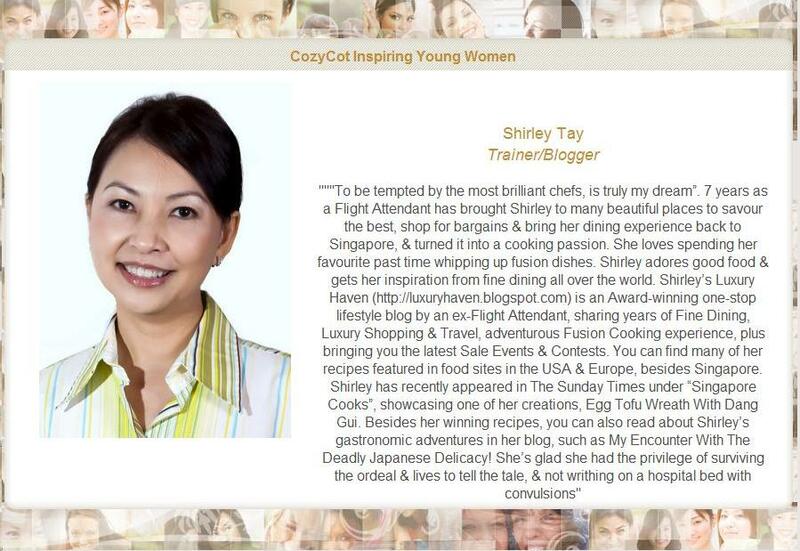 Have a wonderful weekend Shirley ! I dun really know about the products but from the price paid for the box is definitely worth it. SD, it's certainly worth paying especially when you can get more than 5 items on some months! Pls type in your name & email or we won't know who you are. Kylie, look out for those beauty boxes in your home town! EH, I couldn't agree more! Pepper, oh dear! Better use them all before their expiry dates. Lol!